In 1471, fire destroyed most of the works of art inside the Basilica di Santo Spirito. The rich families, who had the patronage of chapels inside the church, decided to replace the lost altarpieces with less expensive ones, made by minor artists. 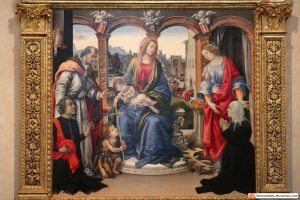 All but one: the Nerli family called Filippino Lippi, one of the greatest artists of the late 15th century, to paint a masterpiece: Filippino Lippi Madonna and Child with Saintes was, at the same time, a symbol of devotion and a self-celebration of the family. Santo Spirito is one of the attractions that not many travelers get to see, because it is off the beaten path. 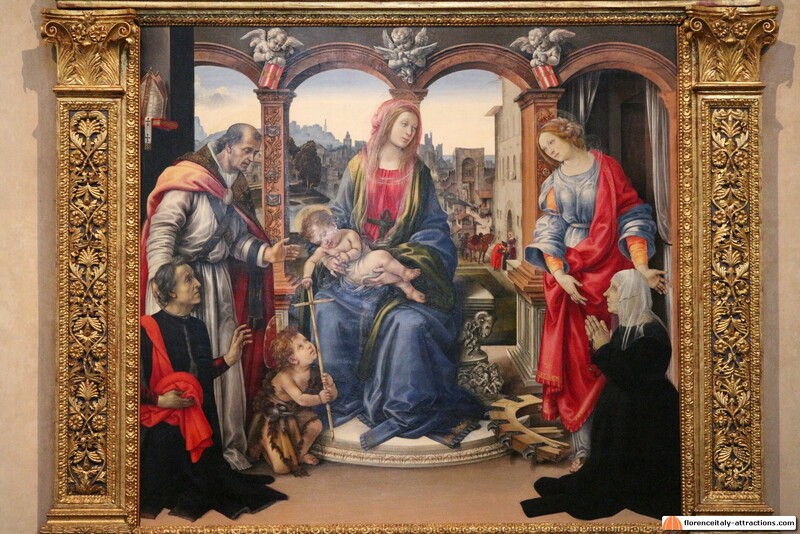 This famous altarpiece was made by Filippino between 1485 and 1488. It represents the Virgin Mary holding the baby Jesus Christ, playing with the cross of a young Saint John the Baptist. Two more Saints participate in the holy conversation: St Martin of Tours and St Catherine of Alexandria. They are introducing the “sponsors”, Tanai de Nerli and his wife Nanna Capponi. On top of the pillars sustaining the open terrace enclosing the composition, angels are holding the coat of arms of the Nerli family. 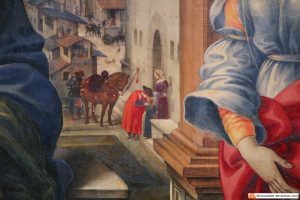 Filippino Lippi Madonna and Child with Saints is particularly interesting if we take a deep look at the background. It represents the Nerli palace, which was in Borgo San Jacopo, and we can identify the Porta San Frediano. A very small particular shows, in front of the palace, Tanai de Nerli leaving for a trip: he is saying goodbye to his family before going. He was sent to Pisa by the Republic of Florence as ambassador, and this was something that gave a lot of prestige to a merchant. 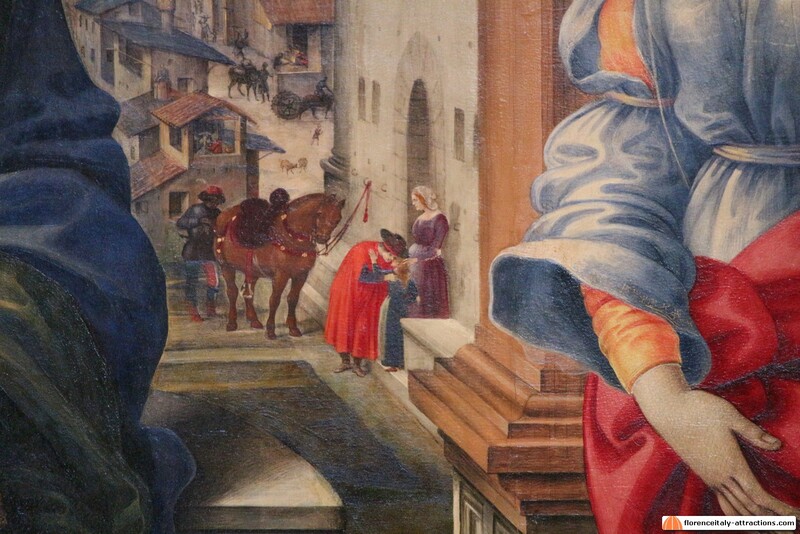 Looks like the man left Florence on the day of St Martin, hence the devotion for the Saint. Probably he considered this even as the most important of his life.